Good morning! Has your best friend signed up yet? 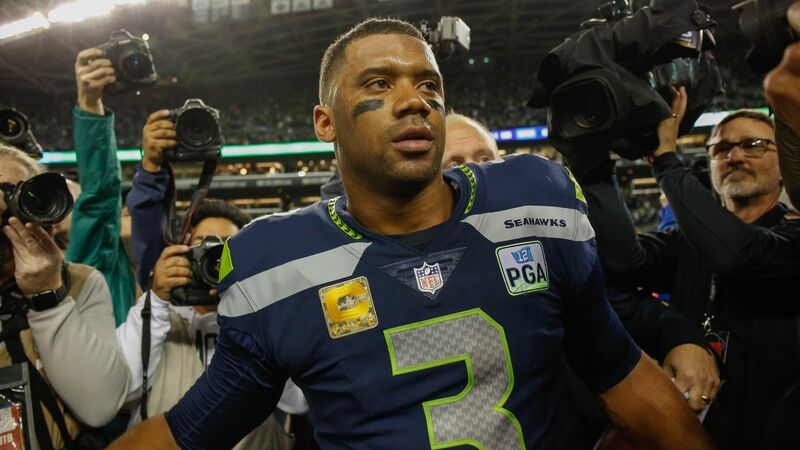 Russell Wilson and the Seahawks reached an agreement mere hours ago on a 4-year, $140 million extension that includes a $65 million signing bonus, ESPN's Adam Schefter reports. Why it matters: Wilson's extension is the richest ever in terms of average annual value ($35 million per season), surpassing Aaron Rodgers ($33.5 million). His $65 million signing bonus is also a new record, topping the $57.5 million Rodgers got last summer. The backdrop: Wilson, who is coming off arguably the best season of his career (only Drew Brees and Patrick Mahomes finished with a better QB rating), was set to make $17 million in 2019, the final season of the 4-year, $87.6 million extension he signed in 2015. He and his agent had given Seattle until yesterday to offer an extension and didn't plan to revisit negotiations this season if a deal wasn't reached. Looks like the Seahawks just made the deadline. What's next: With their franchise QB taken care of, the Seahawks will now turn their attention to potential extensions for All-Pro middle linebacker Bobby Wagner and top pass-rusher Frank Clark. With both players expected to command massive contracts themselves, there's a chance one or both could be traded — Clark being the more likely candidate. Be smart: If you'll recall, the last few weeks have been full of rumors that "Russell Wilson wants to play for the Giants" and "Russell Wilson and his wife, Ciara, prefer New York." In hindsight, that was all nonsense, which is a valuable lesson to be reminded of on the eve of the NFL draft. Take everything you hear in the coming weeks with a grain of salt, or at least consider who might benefit from that information being "leaked" (or made up). The Clippers pulled off the largest comeback in NBA playoff history last night, and they did it against one of the best basketball teams ever assembled. Pretty good! How it happened: With 7:31 left in the third quarter, the Warriors were up 94-63 and had a 99.99% chance to win. But the Clippers went on 72-37 run to close out the game, led by the legendary Lou Williams (36 points, 11 assists), who remains one of the most underrated players on the planet, and rookie Landry Shamet, who hit the go-ahead 3 with 15.9 seconds left. P.S. ... Speaking of history, the Sixers tied an NBA playoff record with 51 third-quarter points in their 145-123 win over the Nets. That series is now tied 1-1. 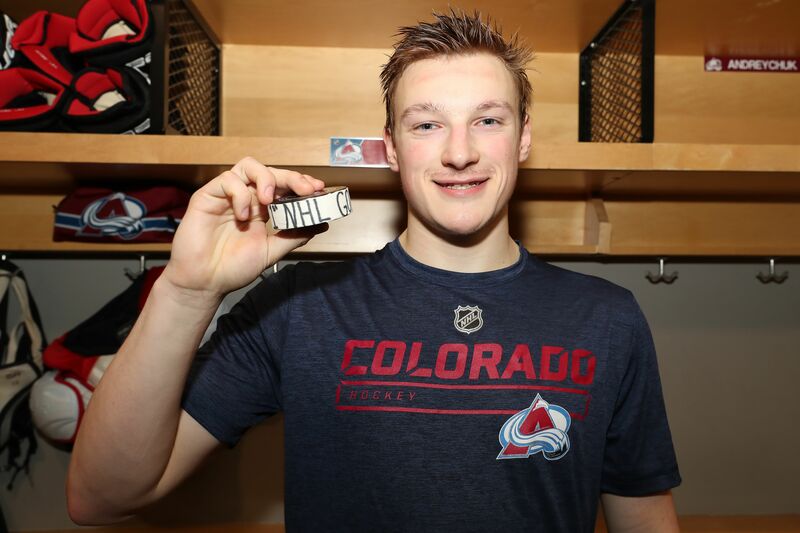 Avalanche 6, Flames 2 (COL leads 2-1): Quite the week for Avalanche rookie defenseman Cale Makar who, in the span of four days, won the Hobey Baker award (college hockey's Heisman), led UMass to its first national championship game and scored his first NHL goal in the playoffs against his hometown team. Maple Leafs 3, Bruins 2 (TOR leads 2-1): The biggest story from this game was probably Auston Matthews coming back to life and scoring his first goal in the month of April. But the lasting image will be Mitch Marner blocking two shots in the final seconds to seal the win. What a hero. Hurricanes 5, Capitals 0 (WAS leads 2-1): Alexander Ovechkin may have won the fight — he knocked out 19-year-old Andrei Svechnikov in his first fight since 2010 — but the Hurricanes won the war, outshooting the Capitals 56-29 to win their first home playoff game in a decade. Predators 3, Stars 2 (NSH leads 2-1): Pekka Rinne made 40 saves, and Mikael Granlund, acquired in a trade with Minnesota in late February, scored the game-winner for Nashville in the third straight 1-goal game of the series. Juventus vs. Ajax (tied 1-1): Juventus returns home following a 1-1 draw at Ajax last week. They'll have the advantage thanks to scoring an away goal, meaning they will advance on the away-goal tiebreaker should both teams fail to score today. Barcelona vs. Man United (BAR leads 1-0): Barcelona finds itself in a slightly better position with a 1-0 lead, but they had a 4-1 lead over Roma heading into this game last year and lost 3-0 to get knocked out via the away-goal tiebreaker we just mentioned. It's the Champions League. Anything can happen. Both games are at 3 pm ET, with the latter being broadcast on TNT. The Brewers and Cardinals have played 5 games this season and Christian Yelich has homered in all 5 of them — including 3 in last night's 9-6 win. He also had seven RBIs, tying the Brewers' all-time record. By the numbers: Here are Yelich's 7 home runs against the Cardinals this season. As you'll notice, he's done a lot of his work early in the count, which was also the case last year when 17 of his 36 dingers came on the first or second pitch (47%, compared to the MLB average of 37%). The big picture: Yelich now has 33 home runs in 82 games dating back to the 2018 All-Star Break. Pretty darn impressive for a guy who was once considered a ground-ball hitter. P.S. ... Speaking of home runs, Chris Davis actually hit one! Oh, and so did Yasiel Puig off his former teammate Clayton Kershaw, who was making his season debut. P.P.S. ... Never seen something like this happen before. Above: WHAT A FINISH! Kenya's Lawrence Cherono sprinted past Ethiopia's Lelisa Desisa down the stretch to win by 2 seconds, the third-closest finish in Boston Marathon history. Unbelievable. 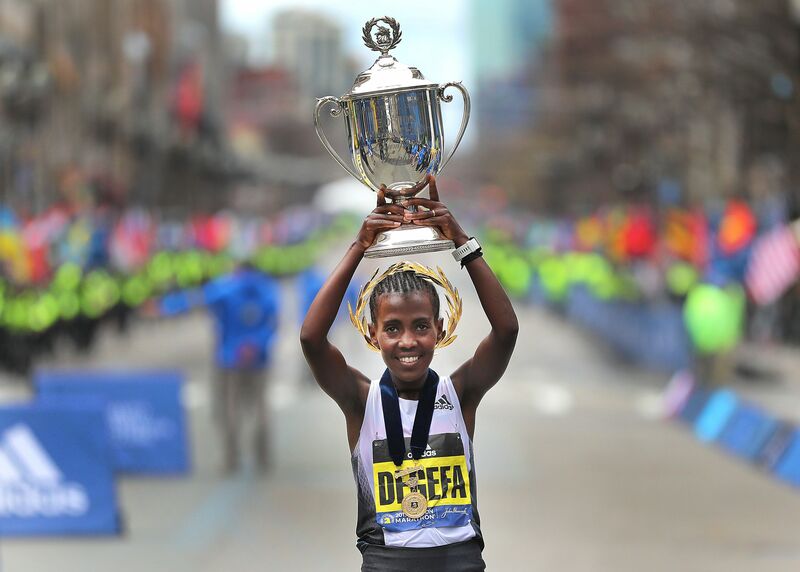 Above: Ethiopia's Worknesh Degefa cruised to her first Boston Marathon title, finishing 42 seconds ahead of Kenya's Edna Kiplagat. Two Americans finished in the top five: Jordan Hasay (3rd) and defending champ Des Linden (5th). 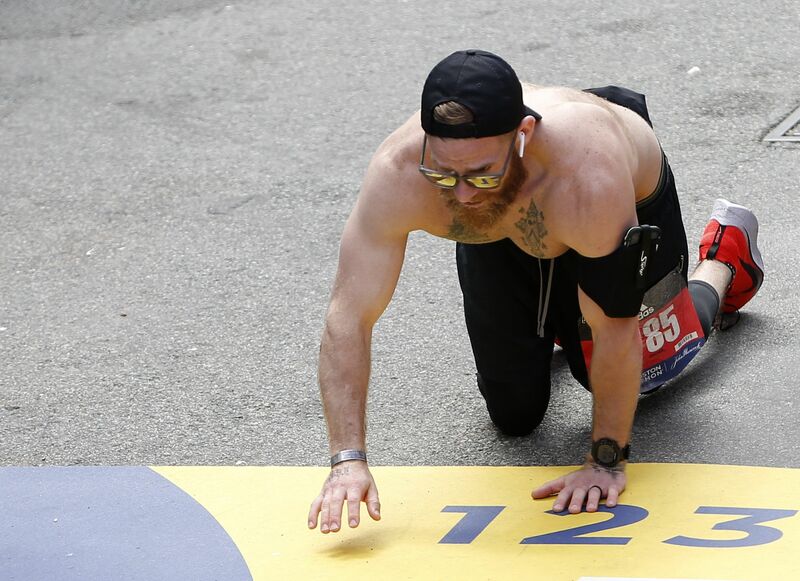 Above: Micah Herndon, a former Marine who survived an IED explosion in Afghanistan in 2010, crawled through the finish line in honor of three Marines who were lost in the ambush. His body may have shut down on him, but his will to complete the mission never wavered. 70 years ago today, the Toronto Maple Leafs swept the Detroit Red Wings in the Stanley Cup Finals to become the league's first ever back-to-back-to-back champions. The backdrop: The Leafs were a middling 22-25-13 that season but still qualified for the playoffs, beating out the Chicago Blackhawks and New York Rangers for the fourth and final spot. Only one other team has won the Stanley Cup after finishing with a losing record (1938 Blackhawks). The big picture: The Leafs had previously won the Cup in 1932, 1942, 1945, 1947 and 1948 and would go on to three-peat again in the 1960s (1962–64). They took home another Cup in 1967, but haven't won another one since then. Zion Williamson is projected to be the No. 1 overall pick in June's NBA draft, which would make him the fourth Duke player ever taken with that pick. Question: Who were the three other Duke players to be selected with the top pick? Hint: They were drafted in 2011, 1999 and 1963, respectively. The Caribbean island of St. Barthélemy is known as a playground for the rich and famous, attracting billionaires and celebrities to its gorgeous shores each winter. Come spring, however, the former French colony transforms into one of the world's top destinations for elite sailing. What's happening: Les Voiles de St. Barth, an international sailing competition that dates back to 2010, is currently underway and goes through the weekend. More than 70 boats, ranging from 26 feet to 100 feet, are competing in this year's event, which includes two races per day that incorporate the island's unique geography. "St. Barth's configuration is a real advantage for us, as the coastal landscapes of the island are very different from one another, and there are about 15 small islands around St. Barth. This gives us the opportunity to organize diversified racecourses, with multiple legs and sail angles and therefore a lot of maneuvers for the crews." 9. 📺 Now playing: "Seau"
"30 for 30: Seau," which chronicles the life, career and tragic death of San Diego Chargers legend Junior Seau, debuts on ESPN tonight after premiering on ESPN+ in September. Quick review: This is really a 3-part documentary, with the first half coupling Seau's rise as an athlete with his success off the field in both his personal life and in business. The final third of the film focuses on Junior's CTE-induced decline, and it's honestly pretty brutal to watch — but important for all football fans to see. 1. Who will cover the spread in Nuggets (-6.5) vs. Spurs? Know this: Gregg Popovich has dominated the Nuggets on the road during this career, with his teams going 30-18 straight up and 34-14 against the spread. 2. The Lightning trail the Blue Jackets 3-0 entering tonight's Game 4. Will they avoid elimination? Know this: The Lightning outscored the Blue Jackets 17-3 during their 3 meetings in the regular season, all Tampa wins. In the playoffs, it has been the complete opposite (12-5 Blue Jackets). 3. Which NBA player will score the most points tonight? Multiple choice: Paul George, Damian Lillard, Kawhi Leonard, Nikola Jokic, Russell Westbrook or the field? Yesterday's link was broken. My bad.